The sisters of the order of St. Joseph Obruchnyk live in and around the Lviv region in western Ukraine. True to their founder’s mission, they actively take part in social and educational work with local children, taking into their stewardship orphans and children who are wards of the state. Many so called ‘state orphans’ are children whose families have been torn apart by substance abuse and domestic violence. As with many post-Soviet states, alcohol addiction is rampant and the cause of much child neglect. I first heard of the sisters of St. Joseph and of their work in the village of Potelech while working as an English teacher at the Ukrainian Catholic University in Lviv (in 2008-2009). 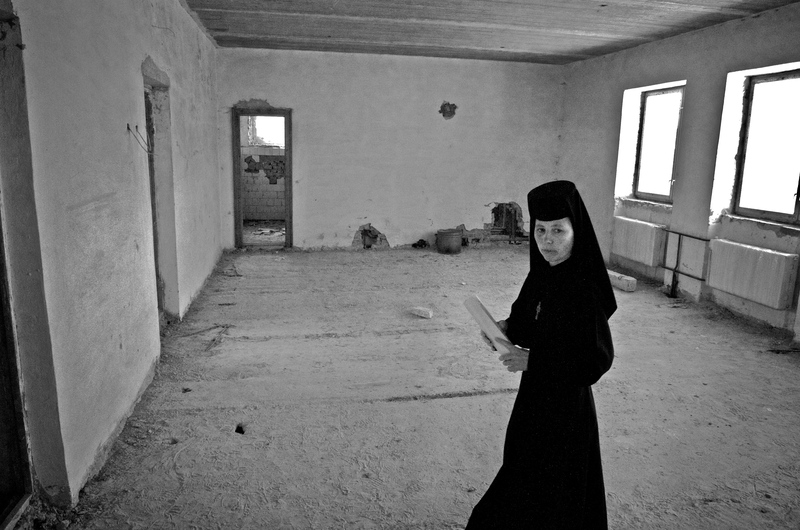 At that time, my colleague Mike Rudzinski, a photojournalist, was asked to meet with Sister Romana Musenko in Potelech and see firsthand the orphanage that she was building. Because of the language barrier (Mike only speaks some Polish, no Ukrainian) I came along for the trip to Potelech to act as an interpretor. After receiving a tour of the tiny monastery, we walked over to see the building destined to be the Pysanka Children’s Home. The old frame of a building that we came to see has been in the posession of the sisters of St. Joseph since the early nineties but it has up until now remained empty and abandoned. 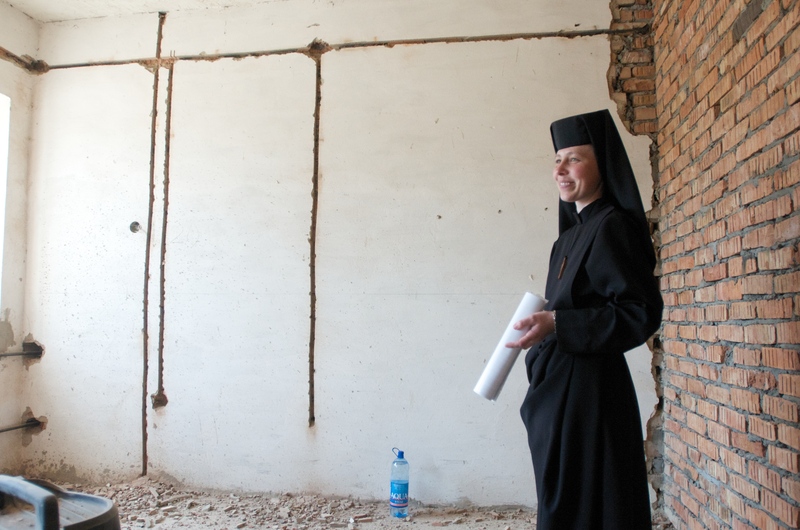 Sister Romana is spearheading the project to remake the building into a home for orphans that will be named after the pysanka, traditionally a symbol of hope, rebirth and beautiful transformation. With the gradual improvement in the economic situation in the last decade it had become possible to dream of finally transforming the old building into something viable for the community. Sister Romana has stepped up to the plate and has enthusiastically undertaken the project. When it is finished, the building will be home to five or six orphans that are already in the sisters’ care and it will also serve the rest of the community by housing a daycare for the local children. It will not be an orphanage but rather something like a foster home. A maximum of ten children will live there under the supervision of the sisters, according to the new initiatives put through by the past government. The new legislation limits the number of children in an attempt to phase out the old system of orphanages into a system more akin to the existing one in the West where children are raised in family like settings. As we walked through the building Sister Romana explained what each bare patch of concrete and brick will hopefully become-- bedroom, washroom, workroom, kitchen, etc. There is even a room designated for computers that she hopes will one day be available. In the attic we saw the beds and furniture donated by local merchants. People who had finally benefitted a little from Ukraine’s economic growth were giving back to their community. Once they realized this was a cause they could believe in, they extended their help in whatever way they could. Sister Romana’s vision for the building is the guiding force in the whole process. She went to the village council with this vision and convinced the council to approve the project. She went in search of funding near and far, convincing many of the local villagers now living and working abroad in Portugal and Italy to donate to the worthy cause. She went to different tradesmen and convinced them to work on the building even though they had no guarantee of pay. Hearing about her challenges and seeing the results of her determination was truly inspiring. We were convinced. And determined. We decided we had to help Sister Romana in whatever way we could. The buildng renovation continues but funds have almost run out. Almost $25, 000 dollars is still needed to completely finish the building so that the children can move in. 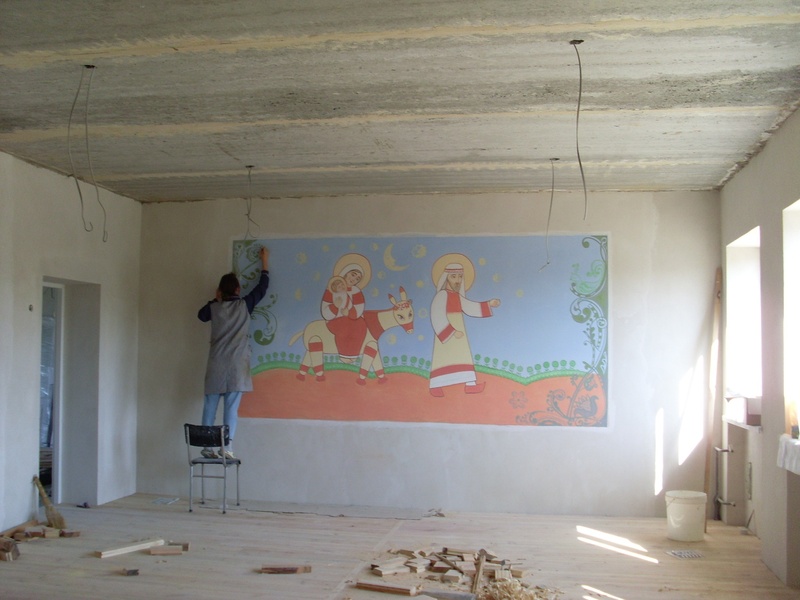 We are praying and working to raise this money so that the sisters of St. Joseph can take care of the children waiting for them in Lviv and Rava Rus’ka. The children will benefit from the loving care and positive environment of the Pysanka Home. Please consider helping this cause by donating and supporting our fundraising efforts. Thus far, Mike and I (Bozena) have fundraised through the sale of Mike’s photographs and Bozena’s pysanky. Bozena, together with friends in the Toronto Plast and art community, organized a pysanka workshop in the spring of 2010 that attracted over 25 participants. (Read more about the pysanka workshop in an upcoming issue of Студент-Student)In total, our combined efforts have raised $1,000 in Toronto, and $2,700 in the greater Chicago area. We are hoping that learning of our efforts will inspire you to join us! If you would like to help raise funds, please contact Bozena in Toronto or Mike in Chicago. You can also donate money directly by sending a cheque to UCEF (the Ukrainian Catholic Education Fund) in the USA, who will direct the money to the sisters of St. Joseph in Potelech. Kosa Kolektiv is involved in running the Pysanka Workshop fundraiser and you can check out the workshop page for information on how to take part.